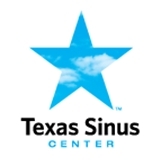 Texas Sinus Center (San Antonio) - Book Appointment Online! Over the past 20 years of helping South Texas and San Antonio, we’ve integrated the specialized experience, training, and equipment necessary to diagnose and treat, in the least-invasive way possible, your sinus-related problems. We employ comprehensive, up-front diagnosis, the latest and safest techniques, and clear communication, every step of the way.